The booming drone industry has sparked privacy concerns among some residents who have little desire to see unmanned aerial vehicles flying anywhere near their homes. Now, there is a way to prevent at least some drones from doing just that. Aviation fanatic Ben Marcus founded NoFlyZone.org, a website where people can join a list preventing some drone from flying in the airspace above their residences. More than 20,000 people have signed up since the website launched two weeks ago. The purpose, Marcus said, is to provide an outlet where homeowners can articulate their privacy preferences to the drone community. The free service enables residents to register online by providing their property address and basic contact information. Registering additional properties requires proof of residence. The latitude and longitude coordinates for the registered addresses are filed in a global database accessible to participating drone companies, which use GPS technology to prevent their devices from entering restricted airspace like airports. A similar technology prevents most retail drones from flying above 400 feet, the maximum height permitted by the Federal Aviation Administration. The list will not completely prevent drones from flying over a property. Compliance is voluntary, but seven drone companies have pledged to tailor their products to avoid the addresses registered in the NoFlyZone.org database. Marcus anticipates other companies will participate, too. Marcus, 32, of Santa Monica, California, said he sold his stake in jetAVIVA to invest in the burgeoning drone industry. 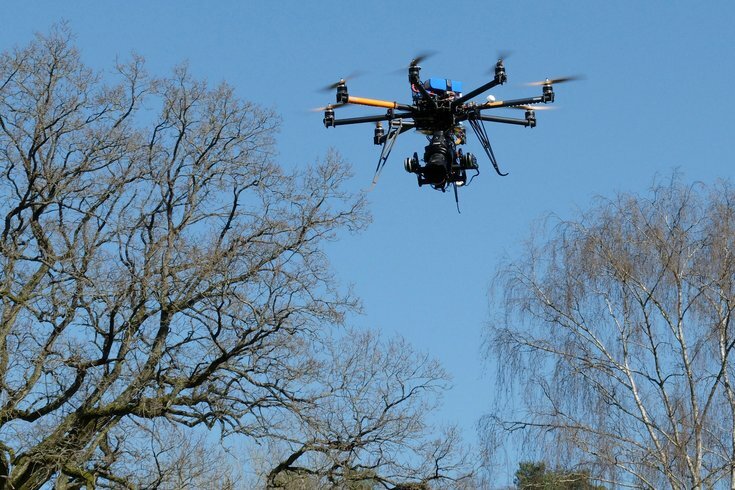 Drones are expected to be used for cinematography, crop monitoring and delivery services, among myriad other purposes. Eventually, NoFlyZone.org registrants will be able to customize their airspace preferences, Marcus said. For instance, a registrant might forbid camera drones from entering a property but permit delivery drones. Drone sales have skyrocketed – revenue is projected to surpass $1 billion within five years, according to the Consumer Electronics Association – but public response has been mixed. A Reuters/Ipsos online poll conducted in January found 42 percent of respondents opposed private ownership, suggesting drones be restricted to officials trained in safe operation. Another 30 percent approved of drone ownership while 28 percent was unsure. Matt Satell, owner of Philly By Air, uses drones to produce aerial photographs and videos of Philadelphia. He supports technology that improves safety and protects privacy, noting many drones do not work within one mile of an airport. Satell compared drones to cell phone cameras, saying society is undergoing an adjustment period that will determine a set of norms for the new technology. In reality, Satell said, thousands of drones are operated without incident. More are getting ready to take flight once the FAA finalizes its regulations for small commercial drones. Last week, the FAA released a proposal of regulations that prohibit drone use to daylight and visual line-of-sight operations while also addressing height restrictions, registration and operator certifications. State legislatures across the country also have been drafting laws restricting the use of drones by governmental agencies and individuals. Neither Pennsylvania nor New Jersey has passed a law, but both states have proposed bills limiting their uses. The Association for Unmanned Vehicle Systems International has stressed educating consumers and business users about responsible drone operation. The drone trade organization launched a "Know Before You Fly" campaign advising users on where they can fly drones and for what purposes. "Providing prospective (drone) users with the information and guidance they need to fly before they take to the skies is essential to ensuring the safe and responsible operation of (drones)," chief executive director Brian Wynne said in a statement.